During the September Criminal Session, Dominica will have a new High Court Judge. She is Victoria Charles-Clarke, a St. Lucian who is married to Dominican Cecil Clarke Jr. Charles-Clarke's appointment to Dominica has been confirmed by Registrar Ossie Walsh. 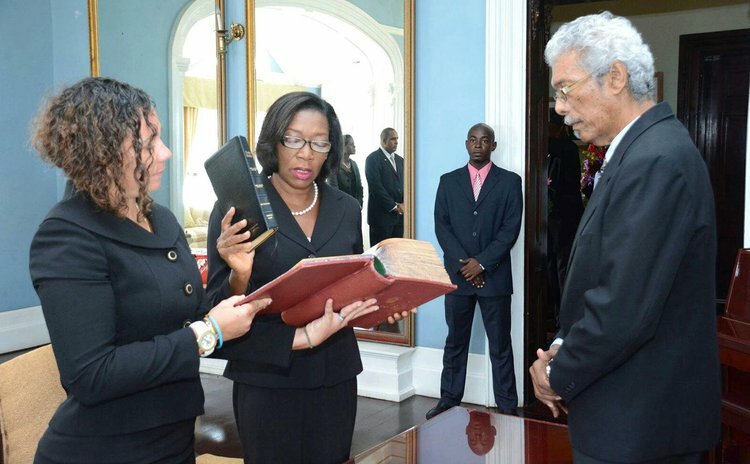 Justice Charles-Clarke who took her oath as a new High Court Judge in St. Lucia last week will replace Justice Errol Thomas who was viewed as a "no-nonsense High Court Judge" during his posting here. For example, Judge Thomas recently fined lawyer Henry Shillingford after he was found to be in contempt of court. Justice Thomas replaced Justice Brian Cottle in August 2013 who was transferred to Antigua after serving Dominica for four years. Justice Thomas was one of two judges on island, the other is Justice Bernie Stephenson. "I can confirm to you that the necessary logistics are being put in place for a new judge who will be attached to the Criminal Division of the court and will replace Justice Errol Thomas," Walsh said. Meanwhile Walsh said logistics are being put in place for Justice Price-Findley to be assigned to Dominica to oversee the opening of the New Law Year expected to commence in two weeks. Madam Justice Charles-Clarke is a former Director of Public Prosecution (DPP) in St. Lucia from 2002 to March 2016 after which she retired. She is a graduate of the Sir Hugh Wooding Law School. Before holding the post of DPP she served as a magistrate at District Court in Saint Lucia from 1992-1997 and also served as Registrar of the Supreme Court in St. Lucia for almost three years.